Transgender Boy Tells Mom 'It Shouldn't Be Scary To Be Who You Are' In an interview with StoryCorps, Kaysen Ford talks to his mother, Jennifer Sumner, about being transgender and growing up in Alabama. 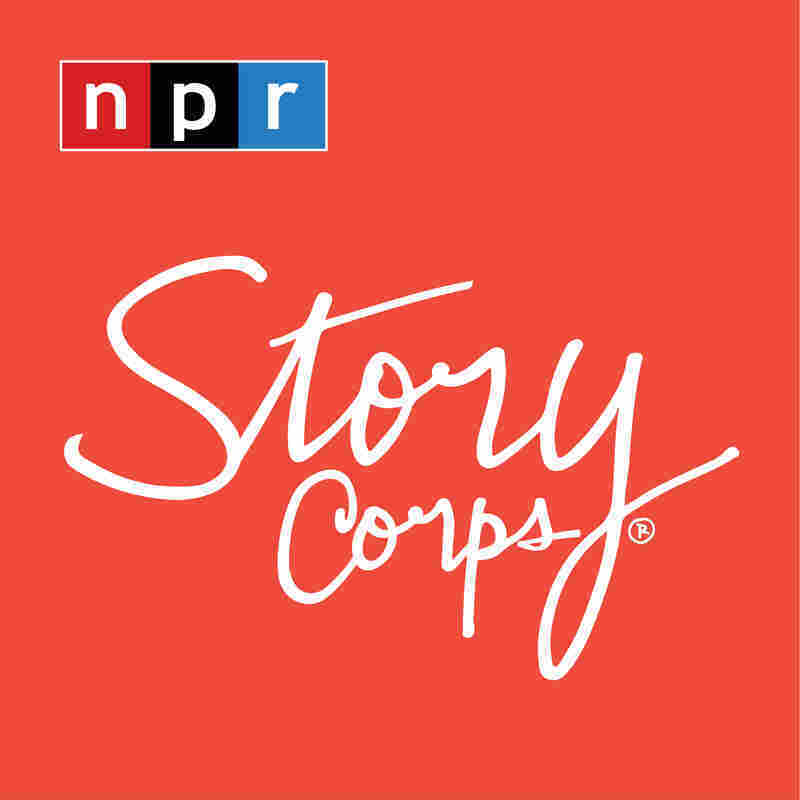 Jennifer Sumner and her son, Kaysen Ford, embrace at their StoryCorps interview in 2015 in Birmingham, Ala.
Kaysen Ford was 12 years old in 2015 when he and his mother, Jennifer Sumner, sat down for a StoryCorps interview in Birmingham, Ala. The youngest of seven children, Kaysen talked to his mother about being transgender. Kaysen Ford had just finished 5th grade in Tuscaloosa, Ala., when he started using he/him pronouns. It was around that time he began to tell friends and family that he was transgender. "Because up until then, I did not know that the word existed," Kaysen said. Though his extended family was slower to embrace his preferred pronouns —and some still haven't — Kaysen's immediate family was supportive. "Because they kind of knew it was coming," Kaysen said. Growing up, Kaysen remembered "it was misery every day" when people called him a girl or his parents called him their daughter. He said it was a relief when he attended art camp in the summer of 2014. That's when his fellow campers used his correct pronouns for the first time. "They just called me he. And that was awesome," he said. Kaysen told his mom he liked practicing martial arts and playing bass. His favorite subject in school was P.E. When his mom asked if there was anything else Kaysen wanted people to know about him, he said, "Well, even though I'm transgender, I'm a kid too. I have homework to deal with. I have tests to deal with." Kaysen and Jennifer also reflect on what he then called the happiest moment in his life. "January 16th, 2015, 8:45 p.m.," Kaysen told his mom. "You bought me boxer pants." "You'd been telling me for quite a while that you wanted boxers," Jennifer said. "You were wearing all boy clothes. Getting boy haircuts. And that was like the final change. And you were just ecstatic." Jennifer said she worried that Kaysen would face bullying or hatred as a transgender kid in the South. But that didn't keep her from being his biggest advocate. "I have been extremely proud of you because you have been true to who you are," Jennifer told her son. "And you're very courageous." "It shouldn't be scary to be who you are," Kaysen said. "I mean, maybe a little bit at first. But it's way happier this way. Trust me." "I don't think you realize what a leader you are," Jennifer told Kaysen. "People look up to you because you are not afraid to take a different path. And we know that it's your life and you're the one that's got to live it, but we are there for you every single step of the way. ... I'm very proud to be your mom." "I'm proud to be your son," Kaysen said. Today, 16-year-old Kaysen works with LGBTQ youth in his community. He serves as Alabama's only intern at Point of Pride — an international network of gender-affirming support programs that empower transgender people to live more authentically — and is a facilitator at Magic City Acceptance Center, a local Birmingham drop-in center for LGBTQ youth and their allies. Audio produced for Morning Edition by Mia Warren and Kerrie Hillman.